A failed DNA experiment with plants has changed the world forever. Having demolished the moon, the intelligent and aggressive plant-life has spread to the earth and destroyed the human civilization. The few humans that remain struggle to survive, while maintaining an uneasy truce with the restless forest. One day, a villager named Agito stumbles across a stasis unit hidden deep in the forest and awakens a very cute girl from the past. Having slept for the past 300 years, Tula steps into a very different and strange world. 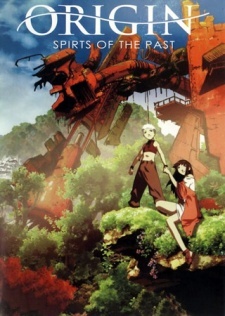 The neighboring high-tech village of Ragna is still locked in a bitter war with the forest and when they become aware of Tula, they realize that she is the key to activating her father’s final and ultimate weapon of humanity - a weapon designed to totally destroy the forest. When Tula is taken by the warriors of Ragna, Agito makes a pact with the forest to gain the strength and incredible powers to not only save her, but to stop the weapon from destroying both the forest and his village.